UPDATE, 5:45 p.m.: While the West Hollywood Sheriff’s Station reports the robbery mentioned below occurred in the 7100 block of Santa Monica Boulevard, the site of the Gateway shopping center, TMZ.com has posted photos and a story showing the robbery actually occurred at the Westlake Recording Studios at 7265 Santa Monica Blvd. TMZ reports that the rapper Rich the Kid was the intended subject of the attempted robbery. Members of his team were also attacked and a bodyguard was pistol whipped when it occurred. Usher, another famous rapper, reportedly was in the studio while the attack occurred. 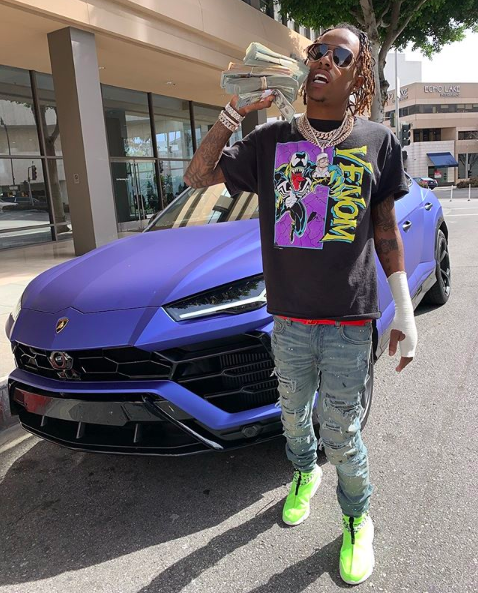 A photo posted on Rich the Kid’s Instagram account shows him earlier today walking with a pile of cash on his shoulder. Sheriff’s deputies have briefly closed Santa Monica Boulevard at La Brea Avenue while investigating a robbery at the Gateway shopping area. It’s not clear exactly where the robbery occurred. 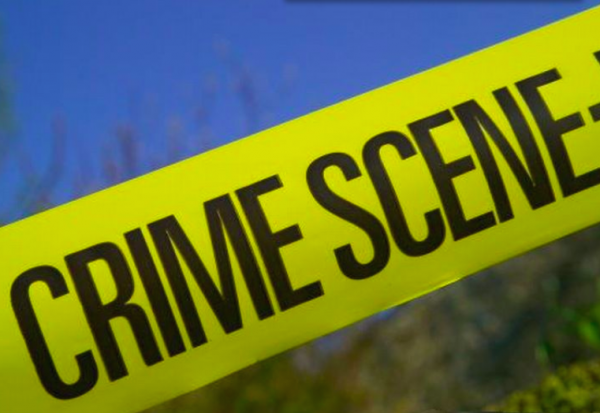 The West Hollywood Sheriff’s Station watch commander said it was in the 7100 block of Santa Monica Boulevard and that there were reports shots were fired. The robber apparently fled the scene. Idiotic actions by the rapper and gangbanger putting innocent folks in jeopardy. Somehow the red carpet is repeatedly rolled out to attract this nonsense. Folks are surprised when it turns south? The people “repeatedly rolling out the red carpet attracting this nonsense” should be liable for their actions. Want to bet when they are paying out far more in damages then they could possibly take in from these events, they will use considerably more discretion when it comes to approving and managing them? From what has already happened, the point should be made by our City Council that the value of that fancy recording studio could easily pay for some great Public Works projects! Clear case of dude being irresponsible on instagram, flashing cash and jewelry. Anybody does this enough times they will get a visit from a gangbanger too. The gangbanger will not have a legal weapon so new laws are silly. YES the victim was “irresponsible” in his ostentatious postings on social media but, the lapse of good judgement on the part of a victim should not be a justification for the acts of a perpetrator. NO laws and regulations can and do have an effect on access to firearms by those likely to endanger the public, even if indirectly. For clarification a “professional criminal” making way more money than the vast majority of the law abiding public is the least likely person to commit a public shooting that would attract an avalanche of unwanted attention and, bring about the necessary resolve on the part of those in power to rein them in. True the “wannabe gangbanger” is not going to have any more regard for the law than any other kind vermin but, that is NOT the case of those responsible for attracting and enabling the unwanted vermin who could easily be held accountable thanks to some wonderful new laws and regulations. Example, if an employee of a vermin removal company was dumping unwanted pests all over someone’s residence at the end of the day, screaming that a fully automatic assault rifle is needed rid the property of the infestation because “the law has no effect on these creatures,” is the same kind of argument being made about wannabe gang member shooters. When the OWNERS of the vermin removal company are not only responsible for the cleanup but have to pay out damages, they’ll deal with their problem employee! In the case of public shooting rejects, the laser microstamping ballistic identification technology helps the ATF hold people much further up the food chain responsible. When the assets of established mobsters are subject to Federal Forfeiture or even the clear possibility is established do to the actions of their problem minion punks; they have an excellent track record of instantly dealing with the problem!